Dr. Register understands the people of Islam and in these pages he presents a cogent, compassionate plan for their discipleship. Seeing Muslims as distinct from cultural Christians, Register believes one must first recognize the difference between the two cultures in order to assist Muslims in their quest to learn of Christ. It is the mission of Dr. Register and this volume, to not only point out the contrasts of these two worlds, but, with each step, discover mutual, common ground. A wealth of experience in Christian-Muslim interfaith ministry has gone into "Discipling Middle Eastern Believers." I knew Dr. Register when he was working in the Nazareth area and we were working in the Bethlehem area. Ray's first book, "Dialogue and Interfaith Witness to Muslims" was helping in developing our own work with Muslim university students. "Discipling" goes a several steps beyond: How to address the spiritual,fellowship, and practical needs of believers who have begun a journey as followers of Jesus, often under very difficult circumstances. He also describes several different models of believer fellowships that have emerged in the course of his 40 years of ministry to Muslims. 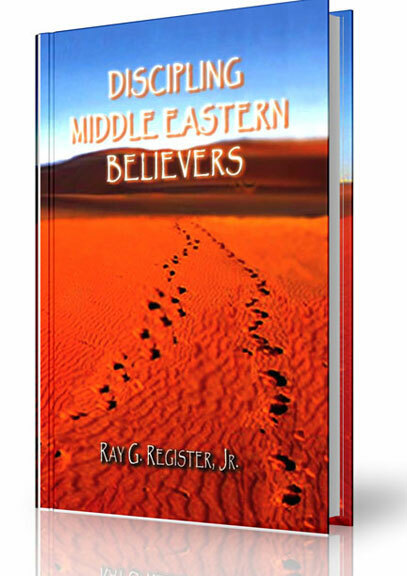 Christians engaged in ministry to Muslims will find Ray's "Discipling" a valuable resource. It can also serve as a useful sequel to my own book on Muslim ministry, "A Stone's Throw From Bethlehem."